Open Monday through Saturday, but please call or email to arrange a time for your visit. 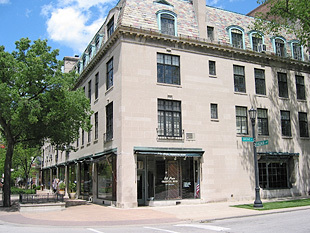 The home of Eli Peer Oriental Rugs is Evanston, Illinois, the academic center on Chicago’s North Shore. The shop looks onto a park that is surrounded by old churches and a music center. The shop contains an unusually large collection of beautiful antique oriental rugs, carpets and weavings. Through discriminating buying over many years the variety is great and the quality is high. In fact, many of the rugs and carpets are from fine estates within a few miles of the shop. Knowledgeable rug buyers and decorators around Chicago know Eli Peer’s integrity. New visitors are amazed at the selection, and now you have access as well. Look at the examples and don’t hesitate to email, call or visit with your specific needs and preferences. Chances are we can show you rugs you will want to live with and keep for the future.